SJM Holdings Ltd has the highest exposure of Macau’s six casino operators to VIP gambling business and Sands China Ltd the lowest, according to a review of the city’s competitive environment from brokerage Sanford C. Bernstein Ltd.
Wynn Macau Ltd and Galaxy Entertainment Group Ltd were ranked “medium/high” for exposure to VIP, while the other two Macau licensees, Melco Resorts and Entertainment Ltd and MGM China Holdings Ltd, were ranked “medium” for this segment. 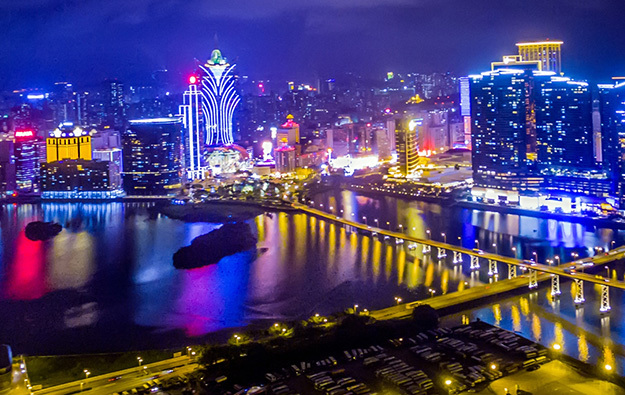 But the report further noted, referring to Macau’s traditional downtown casino district: “SJM [Holdings] has significant exposure to low-quality peninsula-based satellite casino properties and a lack of scale to focus on premium mass [players] at its flagship Grand Lisboa.” The reference to satellite properties was to venues using the SJM Holdings gaming licence but managed by third parties. The document notes that Wynn Macau, Melco Resorts and MGM China all have “high” exposure to the cash betting, premium mass, segment of players – normally understood by investors to offer better margins to the house than the credit-funded VIP players that are usually brought in by middlemen agents. Galaxy Entertainment is ranked “medium/high” for premium mass. “Over the long run the critical value driver [for MGM China] will be execution of a successful ramp up of MGM Cotai,” said the brokerage. That was a reference to the new MGM China property due to open in the fourth quarter of 2017. According to Sanford Bernstein, SJM Holdings has “low” exposure to premium mass, while Sands China is “medium” in this regard. The brokerage said Sands China had the highest exposure to “base mass” gambling business, with its competitors ranked as “medium”, with the exception of MGM China, which was assessed as “low/medium” in this segment. Sands China was also ranked by the brokerage as having the highest exposure to non-gaming business. But Sands China was also – along with SJM Holdings – ranked as having “low” potential for further long-term development in Macau. The assessment was based on firms’ ability to develop additional Macau properties – or additional phases – based on current “land bank”. Galaxy Entertainment was adjudged best in this regard. Galaxy Entertainment was ranked lowest by the brokerage for return of capital to shareholders at “low/medium”. The company paid a special dividend of HKD0.26 (US$0.033) per share on April 28 this year, but does not currently operate a policy of institutionalised dividends. Wynn Macau was judged “medium/high” for capital returns to shareholders, and Sands China “high”, with the others ranked “medium” under this indicator. Sands China scored “high” for operating margins, with its competitors adjudged “medium”; with the exception of SJM Holdings, which was ranked under “low”. SJM Holdings – founded by Macau’s former gaming monopolist, Stanley Ho Hung Sun, now aged 95 and in retirement – scored “high” under three headings relating to “risks and concerns”. They were: “corporate governance risks/conflicts”; “internal management issues”; and [project] “execution risk”. The firm was also scored as “medium/high” for “chairman/key man succession concerns”; and “risk of further delays in Cotai construction”. In early May, following SJM Holdings’ first-quarter results, the firm told analysts that the opening of Grand Lisboa Palace, its under-construction new resort on Cotai, would be moved to the second half of 2018. The company had previously said that it expected construction of the Grand Lisboa Palace to be completed by the end of 2017, with an opening in the first half of 2018. Sanford Bernstein scored two other Macau operators founded by charismatic entrepreneurs – Wynn Macau, led by Steve Wynn, and Sands China chaired by Sheldon Adelson – “medium/high” and “high” respectively for “succession concerns”. Melco Resorts was scored “medium/high” for “internal management issues”. Otherwise, the Macau operators were ranked mostly “low” for “risks and concerns”. “While the corporate structure complexity is dampening valuation, in the long run the company should begin to simplify this factor (including a potential buyout of the Studio City minority interest),” said Sanford Bernstein, referring to Melco Resorts having a 40 percent equity partner in the Studio City gaming resort on Cotai.